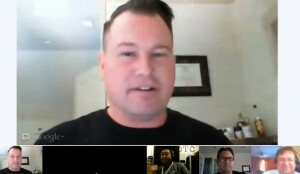 Being in a Google Hangout is really cool because it feels like you are actually in the same room as the expert speakers! Here’s what the last hangout that I did looked like (graphic right). Tune into our live Google+ Hangout, ask our experts your hardest-hitting questions and get the info you need help your business succeed. Follow and use the #DellHangout hash tag on Twitter for updates on this event.